Production of vehicles in Ukraine in January 2019 grew by 56.7% compared with January 2018, to 893 vehicles, and the growth pace is linked to the assembly of Skoda passenger cars by Eurocar Plant, which grew by 73%, to 828 cars, the Ukrautoprom association has reported. 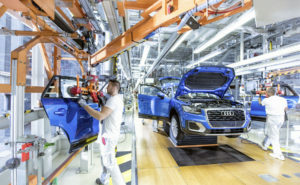 Eurocar improved its production 4.2-fold compared with December 2018. The association said that today Eurocar is the only enterprise in Ukraine where the production of passenger cars continues. The production of buses practically did not change: 60 buses were produced, against 59 vehicles a year earlier. The Cherkasy Bus (40 buses in January 2019 compared with 12 in January 2018) remained the leader of their production, the Chernihiv Automobile Plant (14 compared with 20 the previous year) was the second, the ZAZ and the Chasiv Yar Bus Plant made three buses each (compared with seven buses and 17 buses, respectively). Not a single bus was produced by Bogdan Corporation (three buses in January 2018). Compared with December 2018, the output of buses in January decreased by 21%. As reported, in 2018, the Ukrainian automakers produced only 6,616 vehicles. This was 23% less than a year earlier, and production capacity was loaded less than 1.5%. At the same time, passenger car assembly decreased by 22%, to 5,660 cars (including Eurocar produced 5,659 cars, 7.9% less), commercial vehicles (excluding products of AvtoKrAZ) – by 73%, to 132 units. A slight positive trend was seen only in the production of buses – an increase of 2.5%, to 824 units. The primary registration of commercial vehicles in Ukraine (new and used ones) in 2018 grew by 20% compared with 2017, to 51,500 vehicles, the Ukrautoprom association has reported. The association said that the share of new vehicles was only 25% of primary registrations of commercial vehicles: demand in the segment grew only by 10%, to 12,700 units, while registrations of imported used vehicles rose almost by 25%, to 38,800. Renault became the leader in new vehicle registrations last year, with 2,429 license plates being issued – 13% more than the year before, Fiat ranked second: 1,327 registrations and an increase of 13%. Mercedes-Benz closed the top three leaders: 1,047 new vehicles were sold (a rise of 28%). 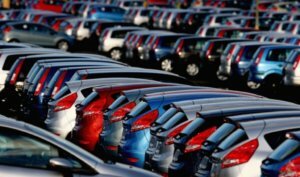 Renault is leading in the segment of used imported cars: for the year, 9,407 vehicles received Ukrainian registration, which is 30% higher than last year. The second most popular brand was Volkswagen, which registered 4,941 vehicles (15% more). Mercedes-Benz is in third place, as in the market for new vehicles, with 4,911 units (a rise of 22%). Sales of new commercial vehicles in Ukraine in January-April 2018 grew by almost 25% year-over-year, to 4,060, the Ukrautoprom association has reported. In April, 1,187 vehicles were sold (30% up on April 2017 and almost 20% more than in March 2018). 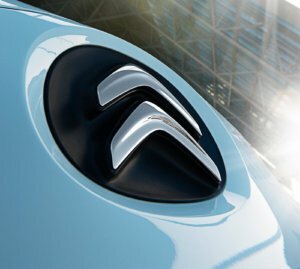 The association said that the leader of the April market was Citroen with 223 vehicles sold (8.6-fold rise compared with April 2017 and 65% up on March 2018). Another French brand Renault was second with 191 vehicles sold (12% up on April 2017). Ford is third with 161 vehicles sold (2.2 times more than in April 2017), Fiat is fourth with a 10% decline in sales year-over-year, to 97 vehicles. Volkswagen was fifth with 76 vehicles sold (65% up). AUTO-Consulting Group said that in contrast with the passenger car market, the truck segment showed a good pace. Ford Trucks was the leader with 28% of the Ukrainian market. Ford Trucks signed a deal with Automagistral-Yug to buy 122 Ford dump trucks. MAZ occupied 58% of the medium truck market. Scania was third with the market share of 10%. MAN and Volvo followed the Swedish concern.